The Y believes the ability to swim is a critical life skill for every child, teen and adult. Our experienced swim instructors teach the nationally recognized Y Progressive Swim Program with a focus on personal safety, stroke development and rescue techniques. Our swim lesson design encourages positive values and promotes growth in a fun and caring atmosphere. By educating and partnering with parents and families we’re determined to prevent water accidents in our community. Sign up today for our next session of swim lessons that start the week of Tuesday, April 30 and runs for 8 weeks. With mid-week and weekend options, there are times that fit for all families. Pre-registration by level is required. To schedule a swim evaluation to ensure your child starts at the appropriate level, contact Jess Lukas, Aquatics Director, at 802-652-8143 or jlukas@gbymca.org. SKI, Perch, Perch Plus and Parent Pike (see below) are introductory classes that use the bond between caregiver and child to create a safe and welcoming environment. These classes focus on comfort, balance and movement and are designed to allow the children to have fun in the water while caregivers guide them through skills such as bubble blowing, kicking, paddling and jumping. Games and songs are used to create a fun atmosphere and help children feel comfortable in the pool. One adult must accompany each child in the water. Children that are not potty trained must wear a proper swim diaper. There is no swim lesson evaluation required; please register by age. All classes are 30 minutes long. For children from 6 to 18 months, this class introduces parents and their infants to the pool and allows beginning swimmers to progress from water adjustment to basic skills. Instruction helps parents work with their children and focuses upon creating a fun time for parents and children through water games, songs and basic movements. This class continues to provide the highest quality of early water experiences for children from 19 months to 36 months. Children will work towards swimming independently with support from both the instructor and their caregiver while continuing to develop safety skills and early swimming skills through games, song and playful instruction. For children from 29-36 months, Perch Plus is for children that have completed one season of Perch. Caregivers remain in the water with children as instructors work towards preparing children for Parent Pike or even Pike 1. This class is for our more advanced, younger swimmers who are demonstrating bubble blowing skills and swimming independently with flotation and limited caregiver support. This transitional class is for children who are not ready to be without an adult caregiver in the water and introduces skills to the child and adult together. By graduation day the caregiver is out of the water and children are comfortable on their own. One adult must accompany each child. Our pre-school age swim lessons encourage comfort and independence in the water through skills, games and fun. Children learn safe pool behavior and adjust to the aquatic environment with various, provided flotation aids. Parents are encouraged to be a support, but are not present in the water. Each class is 30 minutes long. Children are introduced to their first experience swimming without a parent. Instructors work with children to teach independence and confidence in the water through basic swim skills and safety. After graduating Pike 1, instructors continue to work with swimmers on independence and confidence in the water. Stroke development concepts are introduced, and less flotation is used as a Pike 2. Instructors focus on stroke development, endurance, independence and confidence. Children must be comfortable on their back and putting their face in the water while swimming. Instructors continue stroke development work, as well as proper breathing techniques. Timing of arm & leg movements are introduced. Our school-age swim lessons are designed to encourage comfort and independence in the water through skill building, games and fun. The higher-level classes offer an athletic fitness element. These lessons are 45 minutes long. Are you a home school family? Time to take some swim lessons at the Y! We'll join together for 45 minutes of a structured swim lesson program geared towards the home school children in our community. We are hoping that through some physical activity, together we can make some new connection for children and add some play into their day! Polliwog instructors focus on the basics of kicking, arm motions, breathing, floating and safety with beginner swimmers. Our guppies begin to transition from the program pool into the lap pool. They begin rhythmic breathing, refine their backstroke, build endurance, learn safety skills all while having fun. Minnows work on refining strokes, building endurance and begin diving. Minnows should be able to complete 25 yards of freestyle, backstroke, breast stroke and elementary backstroke. Fish instructors work with swimmers to refine strokes, increase endurance and introduce butterfly, open turns and survival floating. Flying fish and shark instructors continue working on stroke development and stamina building to work towards completing 100 yards of front crawl, backstroke, butterfly and breast stroke. A focus on water safety is maintained as flying fish and sharks are becoming young adults who might be thinking about jobs as swim instructors and life guards. Individual 30-minute lessons for people with physical or developmental needs. Students work one-on-one with an instructor. The application below must be completed two weeks prior to lesson start date. Contact Jess Lukas by email at jlukas@gbymca.org or by phone at 802-652-8143 for more information. No goal is more important than to ensure that our Y is for everyone. 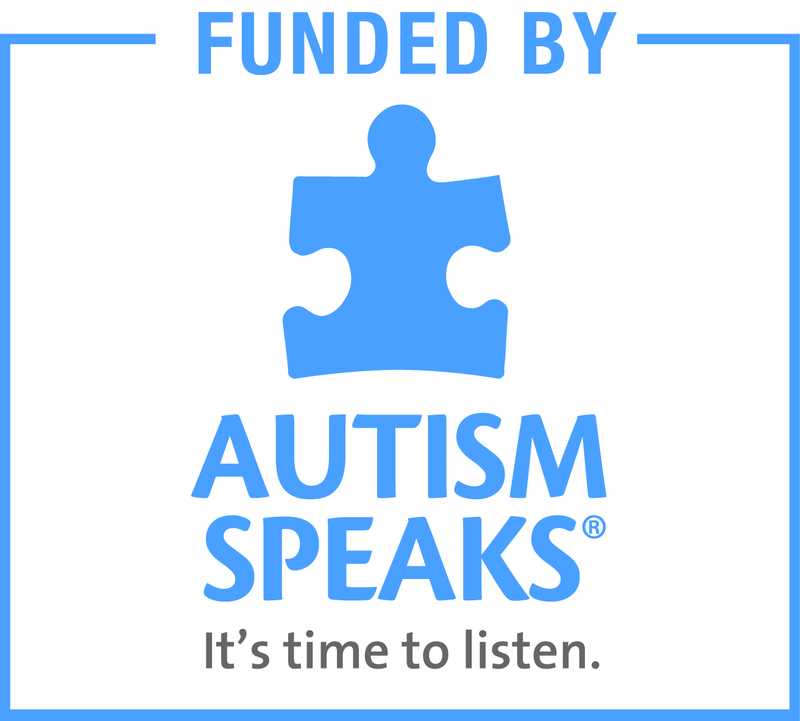 We have once again partnered with Autism Speaks to provide six free swim lessons for children and adults who have an Autism diagnosis. These are one-on-one lessons that are individualized to provide the greatest opportunity for success. Please contact Jess Lukas, Aquatics Director at jlukas@gbymca.org for more details. Enjoy a one-on-one, personalized swim lesson with a qualified instructor no matter what your age! Your swim instructor will cater the lessons to specifically meet your needs and goals. Days and times will be arranged for the convenience of students and instructors; lessons last 30 minutes. To schedule a private or semi-private swim lesson, please contact Jess Lukas by email at jlukas@gbymca.org or by phone at 802-652-8143. Openings will be filled depending on the availability of instructors and space in the pool.